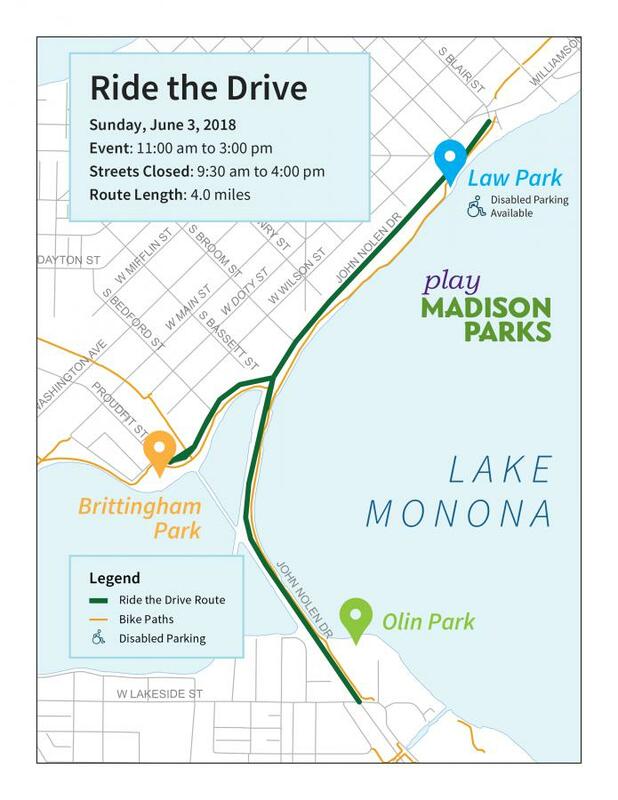 Join us for activities, food, fun and entertainment on Sunday, June 3 from 11:00 am to 3:00 pm for Madison's 10th Annual Ride the Drive! Ride the Drive is more than just closing roads to traffic. 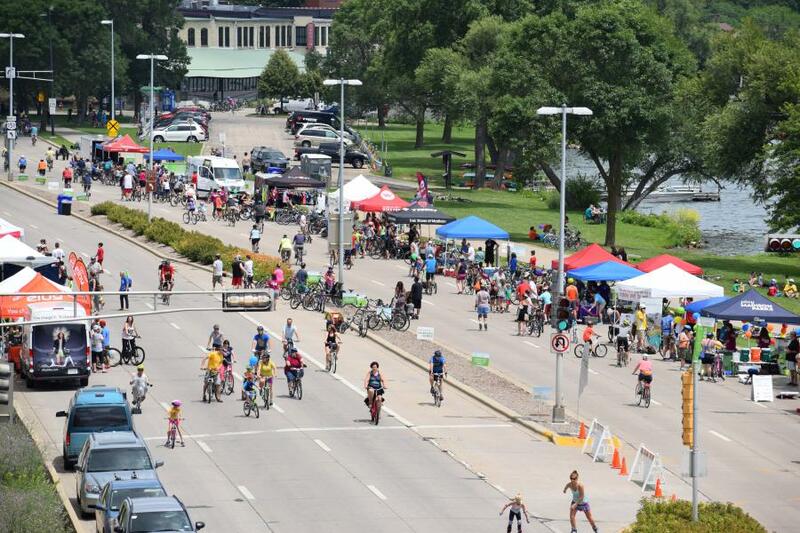 At this year's Ride the Drive, stroll, roll, pedal or glide your way to three downtown area parks—join us at Brittingham Park, Olin Park and Law Park! View a complete listing of activities, food, fun and entertainment at each park!